When you’re planning for your own future and providing for your loved ones, it is always beneficial to have the knowledgeable guidance of an experienced estate lawyer. Though forms and software abound to help you create documents, there’s no substitute for education and experience. When you create your own documents, you may make mistakes simply because key issues never occur to you. Nonetheless, many people do use forms or kits to create their own wills, and sometimes it works out—usually, when the issues involved are straightforward and little knowledge outside the technical requirements of the document is required. Certain issues, however, require more in-depth understanding, and consideration of issues most people aren’t even aware of. Who will care for them if you become incapacitated? Who will care for them if you and your spouse die before they reach the age of majority? Will the same person assume guardianship of the children and manage the assets you leave for them, or would it make more sense to appoint someone else to manage their finances? What legal structure would best achieve those goals? You have a blended family. When you or your spouse has separate children, the rules change. Intestate succession can have unexpected and disastrous consequences. And, incorrect assumptions can leave a loved one out in the cold. For example, if you married your spouse when her oldest child was an infant and raised the child as your own, you may make no distinction between your stepchild and your natural children. However, New Jersey law does. If you leave your estate to your children in equal shares, the child you thought of as your own will receive nothing. That’s just one example of the pitfalls associated with planning for a blended family. Your health is failing. About 1.4 million Americans currently require long-term care in a nursing home or other residential facility. The cost of that care is prohibitively expensive for most, and about 60% of nursing home residents are reliant on Medicaid to finance their care. If you don’t have good long-term care insurance and you don’t plan carefully, the need for long-term care can bankrupt you can gut your financial legacy. 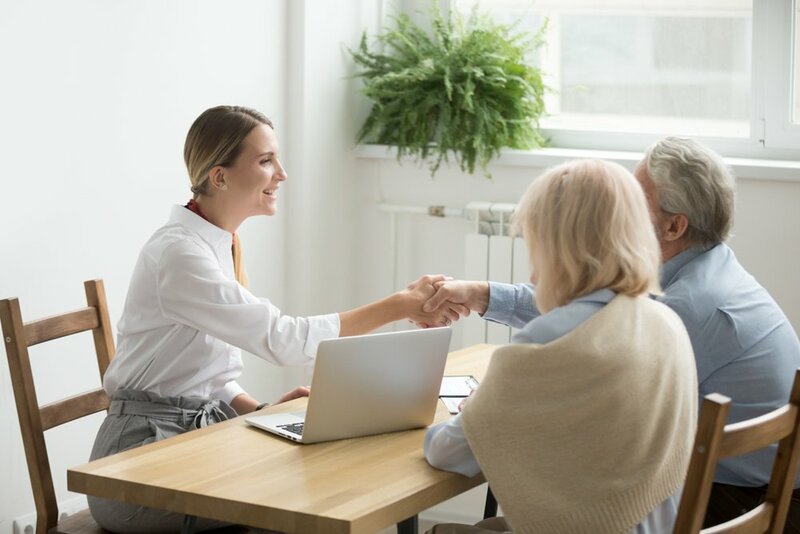 When you work with an experienced estate planning attorney, you can protect assets and provide for your family while maintaining eligibility for the assistance you may need. One or more of your beneficiaries has special needs. Leaving money to a disabled child or grandchild may seem an act of kindness that will make his or her life easier, but this type of generosity can have a catastrophic impact. A direct inheritance or a trust without the correct restrictions may disqualify a disabled person from the government services he relies on for medical care, while falling far short of providing a workable alternative. With a special needs trust, it may be possible to improve your loved one’s quality of life without jeopardizing access to the assistance he needs. One or more of your beneficiaries has special circumstances. Special circumstances may mean anything from a gambling problem or a large outstanding judgment against him to a messy marital situation. What these three scenarios have in common is that funds left directly to your loved one will be at risk. Some parents are compelled by fairness to leave the estate in equal shares to their surviving children, knowing that the fraction left to a particular child may be rapidly dissipated, seized by creditors, or lost in a divorce. Other parents actively disinherit the child as a means of preserving the estate. Fortunately, it doesn’t have to be all or nothing. Strategic planning allows a parent to provide for each child in a manner appropriate to his or her circumstances. Writing your own simple will is akin to diagnosing yourself with a bronchial infection and taking some leftover antibiotics from the medicine cabinet. You may get it wrong and suffer serious consequences, but it may work out just fine. Handling your own estate planning with one of the complex issues described above is more like DIY brain surgery. Fortunately, it’s easy to get the help you need to manage complicated estate issues. Just schedule a consultation with an experienced estate lawyer to get started.